If you want to do an ongoing speedtest with graphs for up- and download, forget about the web-based tools like speedtest.net and fast.com – those are nice if you are on mobile. Yet, when you are on a *nix machine, there’s better tooling in your Shell. 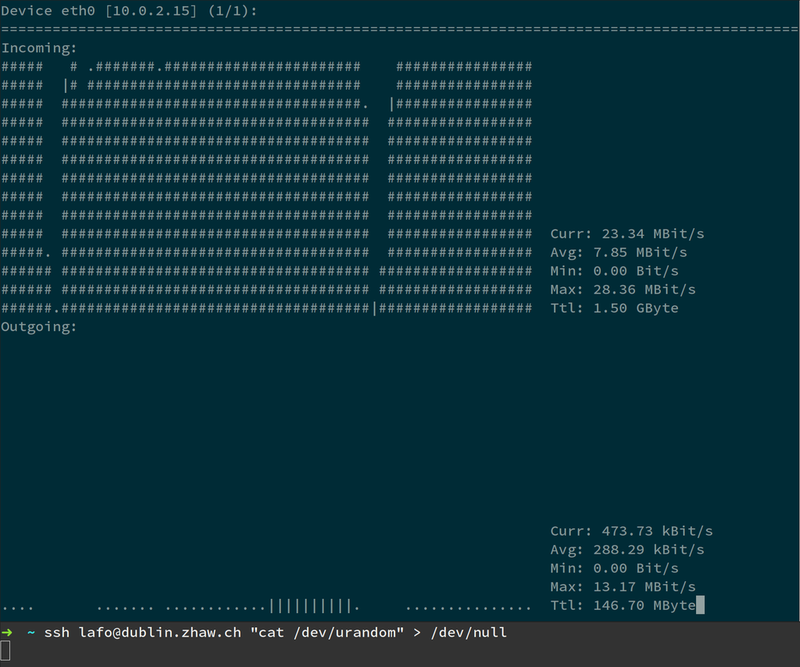 First, fire up a Terminal and start `nload` to view network traffic. If you are on macOS, you can also use the graphical tool ‘activity monitor`. cat /dev/urandom| ssh lafo@dublin.zhaw.ch "cat > /dev/null"
Note that depending on your `ssh` configuration, you might need to disable compression on the client or server side.